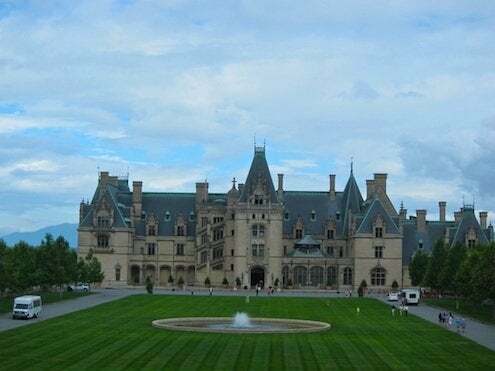 I recently toured The Biltmore in Asheville, NC—a 250-room estate on 8,000 acres, the largest private home built in America. 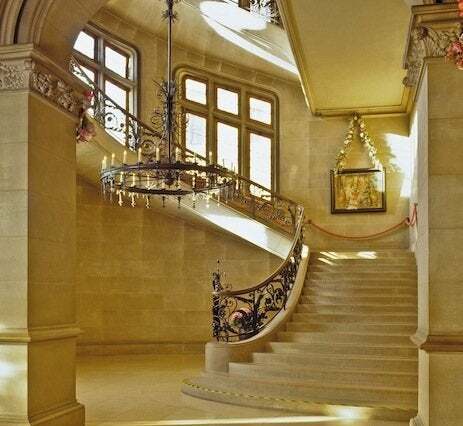 It is architecturally splendid, wildly romantic, and absurdly luxurious. Inspired by chateaux in France, George Vanderbilt hired architect Richard Morris Hunt to interpret his vision and Frederick Law Olmsted to landscape it. Over six years, 1,000 men worked six days a week to complete the estate, with George Vanderbilt and his guests christening Biltmore on Christmas Eve 1895. This was my first visit to the estate, and from the moment I glimpsed it, my heartbeat seriously raced. I was in awe of the scale, the scenery, and the lifestyle that it must have supported. 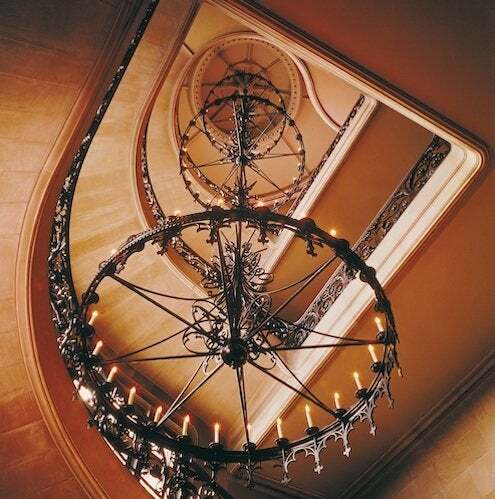 There is a 1,700-pound electric light fixture suspended from the middle of the grand staircase. It hangs from a single bolt that runs through steel girders under the dome roof. The bolt has been replaced only once since the house was built. 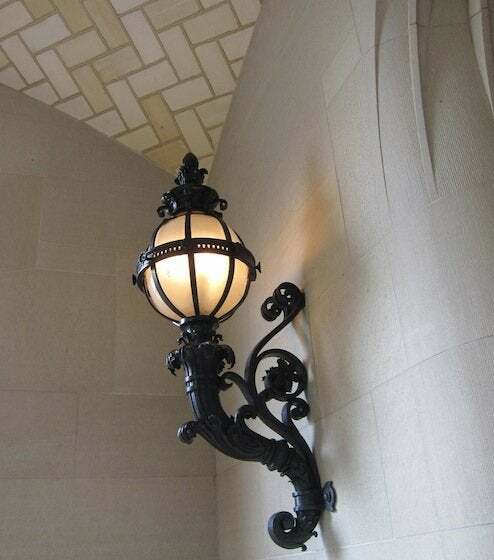 Wisely designed, the copper dome opens for easier access to the fixture. 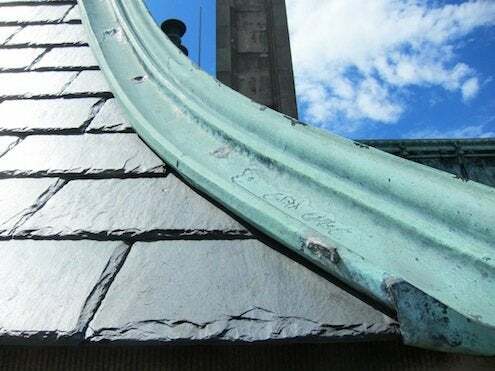 The slate roof tiles were affixed one by one. Each piece was drilled at the corners and subsequently wired onto the attic’s steel infrastructure. Copper flashing was then installed at the junctions to prevent water from penetrating. 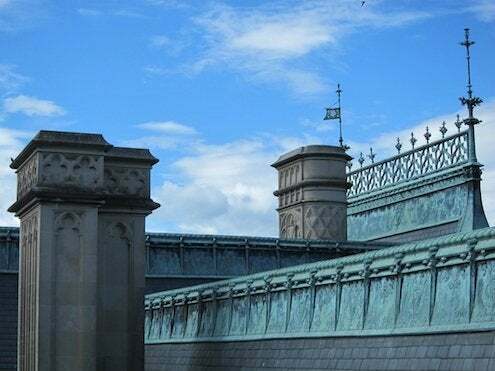 The fanciful flashing on the ridge of the roof was embossed with George Vanderbilt’s initials and other natural motifs from his family crest. The original gold leaf no longer survives. 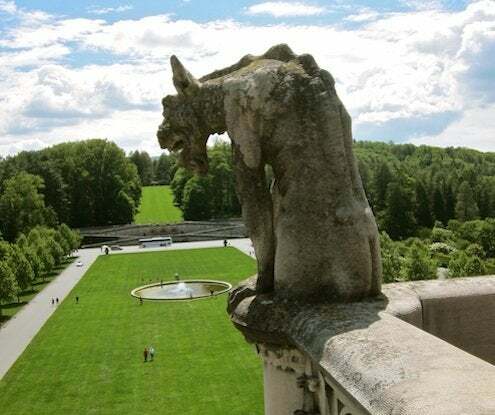 Originally found in 16th century Italian grottoes, grotesques are stone-carved fantasy figures that often appear intertwined with floral ornament, either on the capitals of pillars or at the base of a truss. At Biltmore, they appear in abundance. Immense quantities of limestone were hauled in from The Hallowell Stone Company in Indiana, stored in sheds, and then cut into blocks. While some was left smooth, other surfaces were textured and carved. Vanderbilt wanted the sunlight to reflect off of his house in aesthetically pleasing and varied ways. 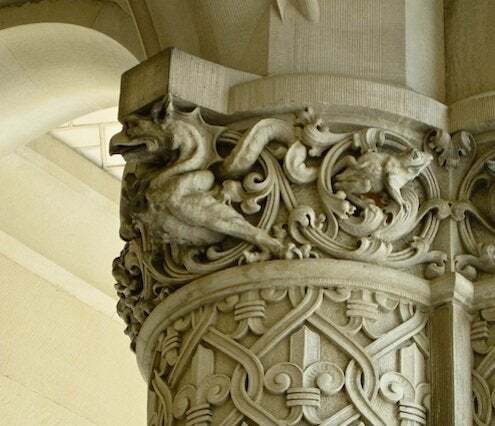 Beyond striations, symbols from the family crests are also carved into the columns providing contrast, definition, and design value. Spanish architect and engineer Rafael Guastavino patented a self-supporting ceramic tile vault and arch system in the late 19th century. The system—used extensively inside and outside at Biltmore—consists of layers of terracotta tiles set in a herringbone pattern into Portland cement. The tile master Gustavino personally supervised the work. If I could go back in time to spend just a few late-summer weeks in the North Carolina mountains, partying in the banquet room and pouring through some of the 10,000 books in Vanderbilt’s library; or creating flower arrangements from the gardens; or maybe even painting landscapes from a perch in the observatory, I most certainly would. But if visiting the past isn’t possible, I can always make a return trip to Biltmore in the near future.